BALAJI AGRO ENGINEERING is a industrial modern enterprise integrating the development, design, production, sales and service of agricultural machinery transmission system. Though over ten years of hard work and development, we have set up a complete production system including agricultural machinery transmission shaft, gear box and other accessories. Our mission is to manufacture & supply the most technologically advanced agricultural implements worldwide, with acknowledged reliability, outstanding quality and with support by excellent services. Brand has been admired for technological superiority, quality assurance and increasing credibility among its customers. is among the fastest growing companies in the Indian market. 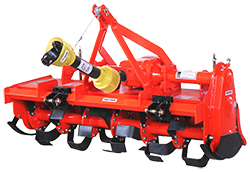 We are For Rotavator spares in India and Rotary Disk Harrow in India. We are best for Rotavator Spares in India And Rotary Disk Harrow in India. Brand is not only employed but also recommended by leading government departments, private agencies and even academic institutions for variety of applications of Rotary Tillers. Copyright © 2014 - 2016 BALAJI AGRO ENGINEERING | All rights reserved.